Looking for a good place to spend Easter in Wilmington? The Blockade Runner Beach Resort on Wrightsville Beach is prime for your Easter weekend getaway with all of their amenities as well as the annual Easter Sunday Grand Buffet and Easter Egg Hunt. This three-star resort with beachfront gardens has multiple recreation facilities and on-site dining, making a family affair easier than ever by keeping everyone satisfied and entertained without leaving the grounds. If you have to work on the weekend, the Blockade Runner Beach Resort provides a 1GB fiber broadband system for seamless high-speed WiFi connectivity throughout the resort. Need a break? The resort offers a live beach cam so you can plan your adventure according to the tides. The Blockade Runner Beach Resort's history began over 50 years ago and has given generations of families an authentic coastal experience. Over the years, the resort has expanded with unique opportunities like their Blockade Runner Sailing School, eco-paddle tours, and other programs to create new, lasting memories. If you're looking to celebrate Easter on the beachfront, the Blockade Runner Beach Resort has their Easter Sunday Grand Buffet and Easter Egg Hunt, including a huge buffet with all kinds of food stations: salads, hot foods, carved meats, seafood, desserts, and shrimp and grits, a delicacy in the Carolinas. There will also be a visit with the Easter Bunny as well as an egg hunt on the beachfront lawn and gardens. The Egg hunt starts at 1:45 p.m., and festivities will continue all day with entertainment for children and adults alike. 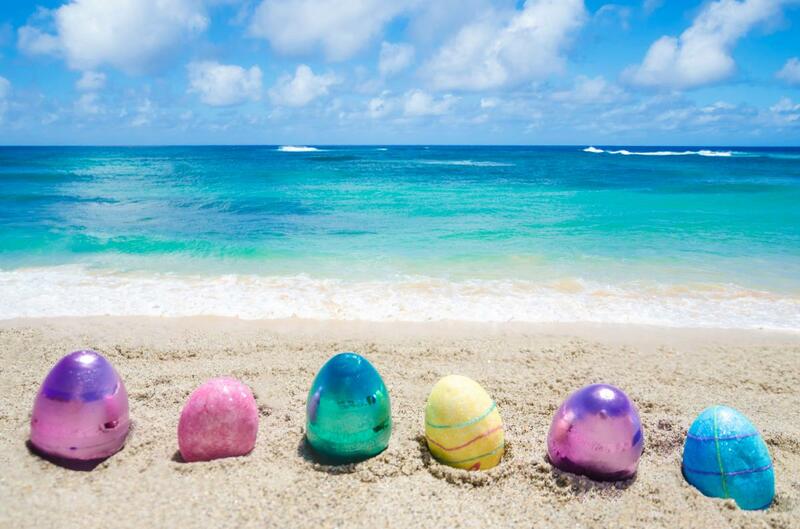 Book your room at Blockade Runner Beach Resort for Easter weekend before it's too late! If you’re visiting or are a Wilmington local looking for something to do, register on 910area and find more Easter events in the Wilmington area like the Easter Sunday Grand Buffet and Easter Egg Hunt as well as Wilmington events year-round.